If you are currently thinking of refurbishing the interior design of your home or office, then replacing your traditional curtains on doors and windows with roller blinds can be a great choice. Roller blinds are available in beautiful designs and colors that enhance the overall beauty of any room at home. 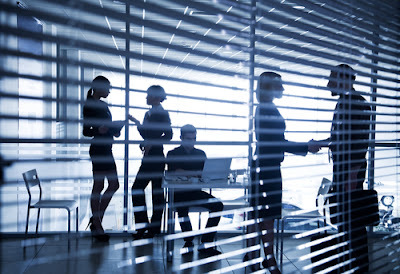 These blinds are also one of the best options for offices for privacy. However, this doesn't mean roller blinds cannot be used for furnishing your home. Roller blinds come in fabrics that are made from stiffened fabric and thus providing complete privacy even for your home. 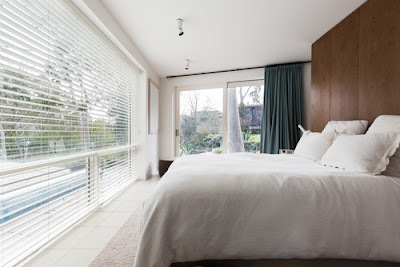 Why choose roller blinds over other blinds? Each kind of blinds has its own set of advantages and disadvantages. Here are some of the benefits of roller blinds to your home. • Roller blinds are flexible and efficient - Most of the fabrics used to make these blinds enhance greater flexibility. Also, since roller blinds are made in a design that they can be rolled up and down, it's very important that they are flexible. They are also flexible in depending on the purpose for which they can be used. For example, depending on the that has been used material used, roller blinds can be used for blocking out the light, for letting the light in or acting as a sunscreen. • They are attractive - Roller blinds don't have excess fabric or slates. They usually come in a simple design that does not create a mess and is easy to use. Nowadays, roller blinds are made out of a variety of materials including block-out fabrics (they don't allow much light through), translucent fabrics (to let some light in), and sun screening fabrics (helps to screen the sun's rays and the ultraviolet rays). • They are strong and durable - You will not have to make a replacement every few months. In fact, the ones that are of dependable quality can last for several years with very little maintenance. It is one of the important things to remember. 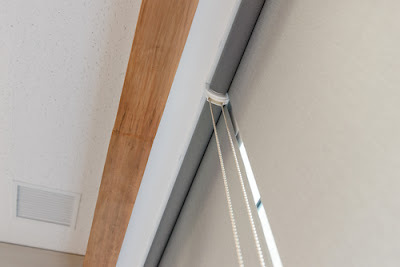 • They are easy to use - Roller blinds can be operated by using a chain, aided by a spring, or even aided by a motor. As a matter of fact, roller blinds can all be linked together so that a number blinds can be opened and closed simultaneously. That is cool, isn't it? This makes it easier to operate blinds that can't be reached easily or if they are blocked by furniture in your home. The first thing you need to do is to decide on the purpose of the roller blinds. Do you want them to block light or just to keep your home insulated? Once have clearly defined your objectives, then it's time bring in an aesthetic appeal to your blind. A block-out roller blind is best suitable if you want to block sunlight. If you just want to keep your room insulated or well-heated, then a plastic roller may be appropriate. should be based on the color of your upholstery, furniture, and rugs. If you are not sure of which color that you want to choose, then it can be safe to go with light colors, black, or white as these suit most color schemes. Also, you can seek the advice of an interior design store consultant if you are still unsure. The style of the roller blind is also a vital factor. It would be best to consider the functionality of each and every room then decide on one which suits best. If you want a blind for a room you use regularly, then a blind in a simple fabric will do. If it's a dining room or a bedroom, then you can consider a metallic weave fabric. A roller design of a good design will always look appealing whether it's your home or office. These blinds come in a variety designs and with accessories. There are roller blinds with turret finishes, scalloped finishes, ring pulls, and tassels that give a style statement to a room. Using a roller blind with the best design will be a great way to add charm and life to a boring-looking room. Before you buy, carefully measure the space where the roller blind needs to fit in. Measure the width and height of the windows. If you aren't comfortable with measuring or you simply don't know how to measure carefully, you can seek the help of a furnishing consultant in an interior design store. He/she can come to your home or office to take the measurements for you. The cost of the roller blinds will be dependent on the space they will occupy. There are also ready-made roller blinds available today and they are good if your windows are of a shape and standard size. There are many interior design stores that deal with roller blinds. Go through the stores you like and focus on the options and features that are most important to you. It is will also be wise to compare one store's quotations with another. This way, you will know about the rates on the market. Also, you will be able to get a rough idea of the varieties that are available in the market. Choose your roller blind only after you have done a thorough research. This will ensure that you won't regret any choice you make. Sometimes, roller blinds may be a bit costly than other blinds. However, their beauty and elegance makes them a worthwhile investment. They can be integrated into any office or room, and can also awesome in the kitchen. Though cost is an important factor, don't compromise quality. Select roller blinds of the best quality since you will want them to last longer.